Gülen Movement-linked groups reportedly funded 200 secretly covered trips for members of the U.S. Congress in 2008, since an investigation done by USA TODAY revealed that many of certifying documents for those trips were apparently false. 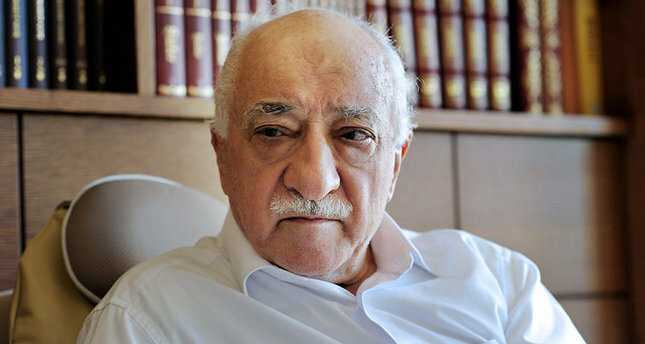 According to the reliable and high-circulation newspaper USA Today published on Thursday revealed details of 200 suspiciously funded trips arranged by the Gülen Movement, which is headed by fugitive preacher Fethullah Gülen, who resides in Pennsylvania and owns hundreds of schools, dozens of media outlets and other businesses around the world. “Some of the Gülenist groups claimed to be certified nonprofits, but they do not appear in state or IRS databases of approved charities. Groups that did register with the IRS filed tax forms indicating that they did not pay for congressional travel. And five of the groups admitted to congressional investigators earlier this year that a Gülenist group in Turkey was secretly covering the costs of travel inside Turkey for lawmakers and staff,” the daily added in the piece. It further stated that the disclosures show the Gülen-backed trips totaled more than $800,000 in free travel for lawmakers and staff. The investigation also revealed that many of the in-country expenses were not reported, and it is not clear where the large sum of money came from, as many of the groups involved do not appear to have the resources to pay for these kinds of large delegation trips. The investigation also touched upon an eight-day trip to Turkey arranged by Gülenists for Republican congressman Mike Honda. The trip was sponsored by the Pacifica Institute, which claimed on congressional disclosure forms to be an IRS-recognized non-profit organisation covering the $5,700 trip. But the IRS has no record of Pacifica being a recognized non-profit, according to the daily. “Pacifica Institute claimed to be a subsidiary of a group called Global Cultural Connections. In another batch of forms filed for a trip by a handful of congressional staff, Pacifica declared itself to be a part of the West America Turkic Council. Both of those groups are registered with the IRS as non-profits, but neither reported any expenses for lawmaker travel on their 2011 and 2013 tax returns,” detailed the investigation. The daily also mentioned a 2008 cable from the U.S. embassy in Turkey released by Wikileaks, which describes the Pacifica Institute as the “sister organization” of a Turkish-based group called the Bosphorus-Atlantic Association of Cultural Cooperation and Friendship, widely known by its Turkish initials BAKIAD. USA TODAY also stated that the House Office of Congressional Ethics issued a report earlier this month finding that BAKIAD had secretly funded the Turkish leg of a trip to Azerbaijan taken by 10 members of Congress and 32 staff. The piece added that four of the Gülen groups sponsoring that trip “used BAKIAD to arrange and finance all in-country expenses for congressional travel in Turkey,” mentioning the OCE findings. The American daily further mentioned their repeated efforts to contact the Gülen organizations mentioned in the article. USA TODAY said in the story that it identified 214 congressional trips sponsored by Gülen-affiliated organizations that appear to be improperly disclosed. “The trips generally have similar itineraries, with visits to the same historical sites, and visits primarily with Gülenist journalists, lawmakers and business associations,” the daily added. The daily also mentioned a February 2015 letter sent to the Secretary of State John Kerry by a group of congressmen organized by Republican Matt Salmon. The congressmen sought his help in defending Gülenist journalists arrested by the Turkish government as part of the battle between fugitive preacher Gülen and President Recep Tayyip Erdoğan. “We strongly urge you to reach out to President Erdoğan and his administration to encourage a peaceful and appropriate resolution to these cases,” states the letter written by the lawmakers. “Salmon had taken a Gülen-funded trip to Turkey in 2014; Honda, Brooks and five other lawmakers who had taken Gülen-funded trips also signed the letter, as did 23 members who had approved Gülen-backed trips for their staff,” the website detailed. The daily further mentioned the remarks of Anne Weismann, the executive director of Campaign for Accountability, an ethics watchdog group. “It strains credulity to believe members of Congress and their staff would accept lavish junkets having no idea who actually sponsored the trips, even worse, the Ethics Committee is allowing members to hide behind its so-called approval process so they can take exotic vacations paid for by special interests,” USA TODAY quoted her as saying. According to figures released by the U.S. Federal Election Commission (FEC) in 2013 and 2014, individuals affiliated with the Gülen Movement donated a total of $241,000 in 2013 and 2014 to 25 congressmen who signed a letter in defense of the movement to the State Secretary John Kerry. Donations were mostly made by executives of pro-Gülenist institutions and companies and administrators of Charter Schools, which have been criticized for being privately run but publicly funded educational institutions. Gülenists donated a total of $43,500 to Henry Cuellar, a Democratic representative from Texas, in the past two years. Also in Texas, where the group has a strong presence, Democrat representatives Al Green and Sheila Jackson Lee received $46,000 and $23,000, respectively. Members of the movement also utilize Super PACs, which are nearly impossible to monitor, to gain influence in the U.S. Congress. According to 2012 and 2013 figures, Gülen schools have around 60,000 pupils in the U.S. and receive an average of $10,608 in state funding per student. The annual sum of public funding for the 130 Gülen schools, with names such as Cosmos, Pioneer, Harmony, Magnolia and Horizon, total $636.48 million. These funds are used by affiliated companies as well as the schools, meaning that the movement supports both educational and business activities. Gülenist contractors are used to build and equip schools and teachers who are members of the movement and brought over from Turkey with special visas. These teachers hand over most of their wages to the movement. Referred to as the Gülenist Terror Organization (FETÖ), the movement is seen as a threat to Turkey’s national security. It has been accused of infiltrating state institutions in Turkey and attempting to overthrow the government. Government officials have continuously expressed their determination to continue to lawfully fight the Gülen Movement, whose followers are accused of infiltrating state institutions to gain control of state mechanisms, illegal wiretapping, forgery of official documents and espionage.